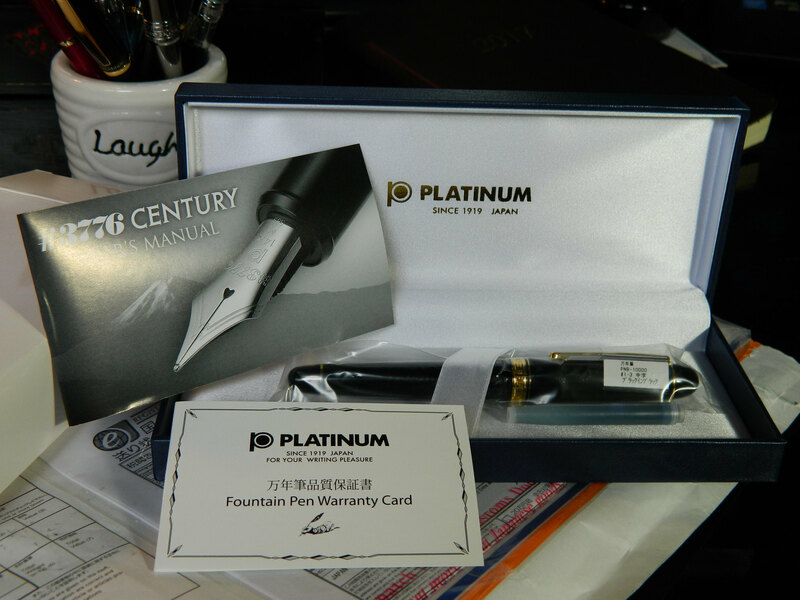 Back in the mists of time ( July 11th, 2017 in reality , it just feels like a long time ago), I wrote a post about the bargains of the grey market; specifically as to how they related to a manufacturer of one of my favorite fountain pens—the Platinum 3776 Century. I don’t intend to argue the pros and cons of the grey market in this post, suffice to say, I will obviously order goods from a legal source, that can supply the same product for less money. The pen was ordered back on July 10th, and I received notification that the order had shipped on July 14th, 2017, which also stated that the estimated delivery date from Japan was between the 21st and 28th July 2017. How Much Do You Save By Going Grey? The delivery estimate turned out to be a little optimistic; you don’t save any time, that’s for certain. The pen arrived on September 7th 2017; 53 days (7 weeks, 4 days) later. This isn’t as bad as it sounds. I have ordered items from China before, and they took between 6 and 7 weeks to arrive in Canada, so I suppose this is about what should be expected. Anybody considering making such a purchase though, should be aware of these timescales. The total cost of the pen, and delivery, came to $99.15 CAD. When you consider that a typical retail price for the same pen in Canada is approximately $245.00 (including relevant taxes), then this represents a saving of about $145.00 CAD. Obviously customs charges will vary depending on your location, and should be budgeted for accordingly. I don’t usually concern myself with packaging except when there’s a little too much, and my green conscience is pricked by the wastefulness. But in this case, anybody ordering a pen from Japan is going to want to be confident of it arriving in one piece. 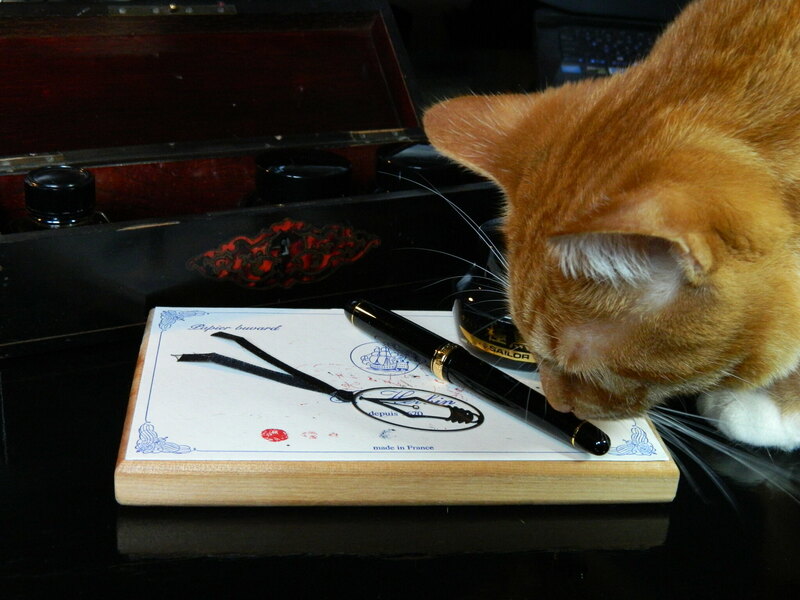 The pen arrived inside the usual Platinum, clam-shell, padded box. This was inside a bubble-wrap sheet, and all of this was inside a larger, padded envelope. By my estimation, this would have been sufficient for all but the most drastic of happenstance. Well, the first thing you should notice here, is the warranty card. Do remember that purchasing an item on the grey market means that the product has not been provided through a manufacturer-approved route. The warranty card is thus for decorative purposes only. The pen remains exactly the same unit as you would buy anywhere else, for more than twice the price. The package also includes one of Platinum’s proprietary (blue) ink cartridges, but no converter. As a converter usually costs around $10.00 CAD, this should also be budgeted for if required. For myself, I have quite a few Platinum pens, and rotating the converters around is not a chore. I think they can be pretty certain of a good rating. 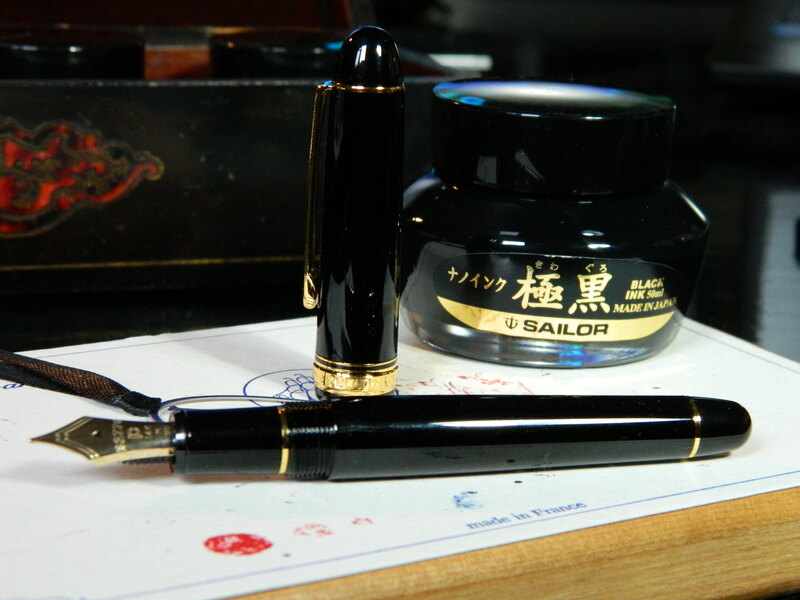 Like I’ve said before, the simple elegance of the black and gold appeals to me far more than the brash color schemes of other pens, or the tackiness of a demonstrator. I love the shape, the timeless style, and the feeling of quality that exudes from the Century range. It could be a tad longer before posting, but that’s a minor preference. I have to admit to receiving a little third-party help at this point; and I can report that Fenway (my wife is a big Red Sox fan), fully endorses this review. Although, she had a bit of a problem unscrewing the cap, she says the Century 3776 posts nicely, and is well-balanced in the paw, be it posted, or un-posted. Anybody who has read my review of the Platinum 3776 Century with the music nib, already knows what this pen looks like. The glossy black, with the gold rings and clip, and the “Platinum Made in Japan 3776” around the wider, central band, at the bottom of the cap, make for a classic look. The difference between the two pens, and what makes it worthwhile reviewing both of them separately, is just the nib. Platinum’s three-tined music nib is a thing of beauty, but ultimately impractical for me to use as a daily writer. The medium nib however, whilst not quite as gorgeous as it’s far juicier sibling, is every bit as well-made and high-performing. But the difference in the sheer amount of ink put onto the page by the music and medium nibs, is enough to make you think the latter constitutes a different pen altogether. Unsurprisingly, the dimensions of this pen are the same as for the 3776 Century with the music nib, but I’ll list them again, just to save you hunting for them in my old posts..
Once out of its packaging, I gave the nib a flush-through with some tepid water. As mentioned earlier, the converter was my own and already clean. 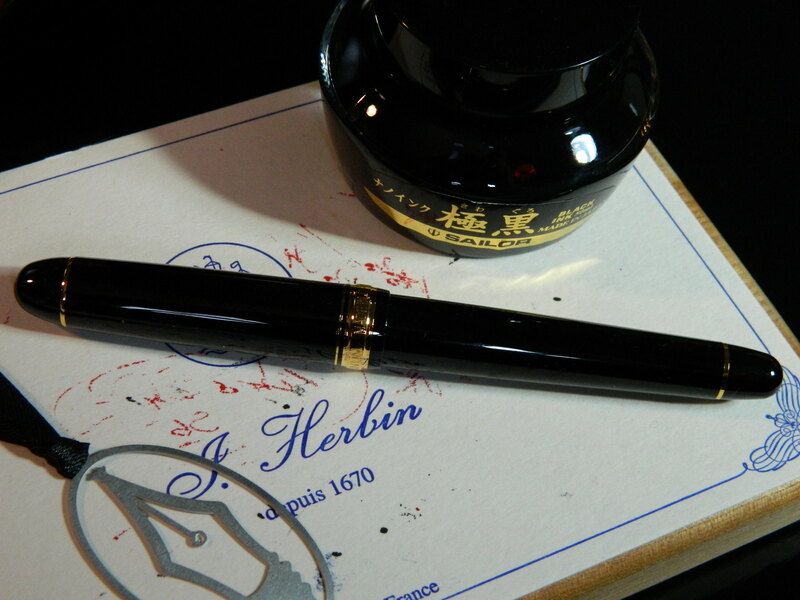 I filled the Platinum Century with one of my favorite black inks, from one of their Japanese competitors, Sailor’s Kiwa-Guru Nano (ultra black), and put nib to paper. What Does It Write Like? Well, it’s going to replace my Sailor 1911L 21K bold as part of my daily carry; it’s that good. If the music nib flowed across the page like ice on glass, then I’d have to say that the Sailor was like skating across a polished floor in your socks. A lot of fun, with just a bit of feedback to stop you from getting carried away. The Platinum Century 3776 with a medium nib is just as much fun as the Sailor, with just a fraction more feedback, to let you handle those tight corners. I really need some sort of quantitative smoothness scale for these nibs. If I’m down to talking about skating across the floor in your socks, you know I’m dredging through the metaphor barrel. 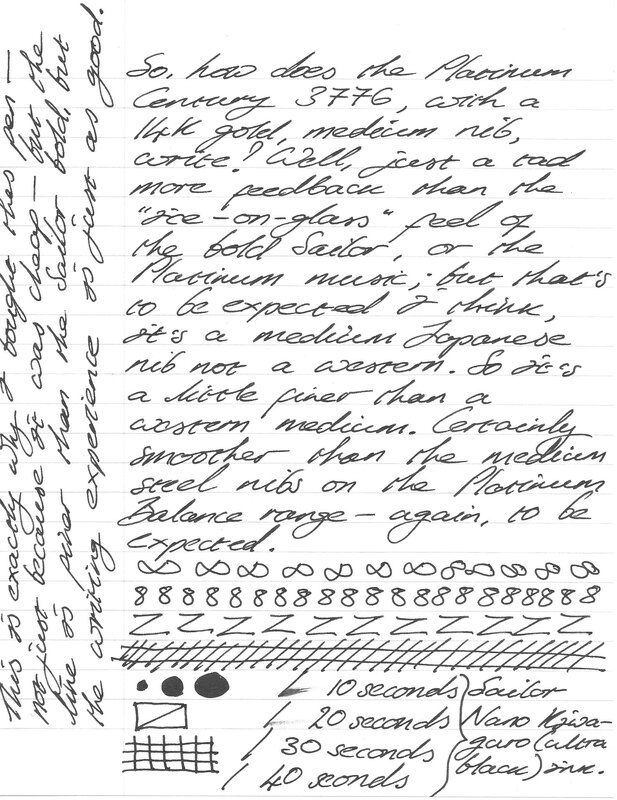 The writing samples for this review have been made on a Rhodia Ice White A5 notepad, with 80gsm white paper. There’s no real line variation with this nib, and I have to say that I find writing with non-italicized nibs does my handwriting no favors at all. But the Platinum’s 14K gold medium nib is as good—or better—than any other nib I have ever used (including those on some far more expensive pens—Visconti, Mont Blanc, I’m taking aim at you). This may be more important to some than others, but everybody should be aware before making a purchase. Delivery times are also extended. 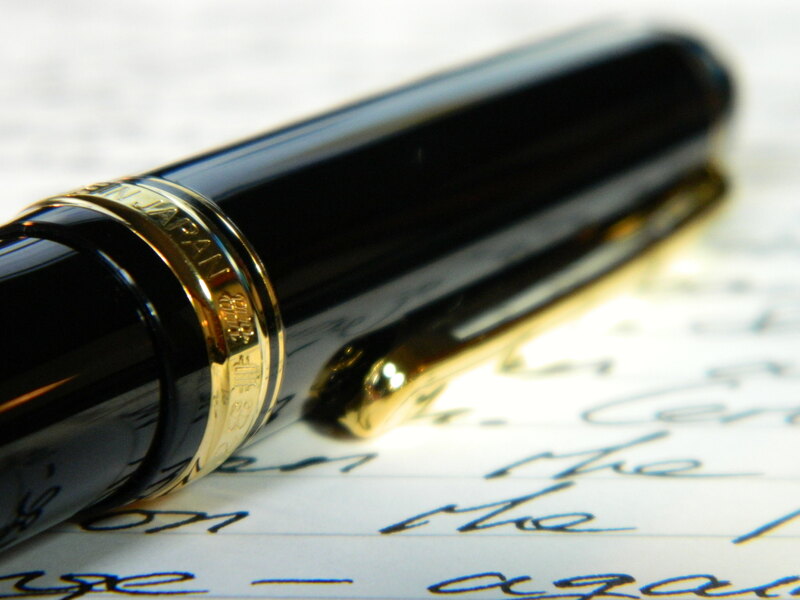 As far as the pen itself is concerned, the two major criticisms I had of the 3776 with the music nib, simply vanish when the pen is equipped with a medium nib. 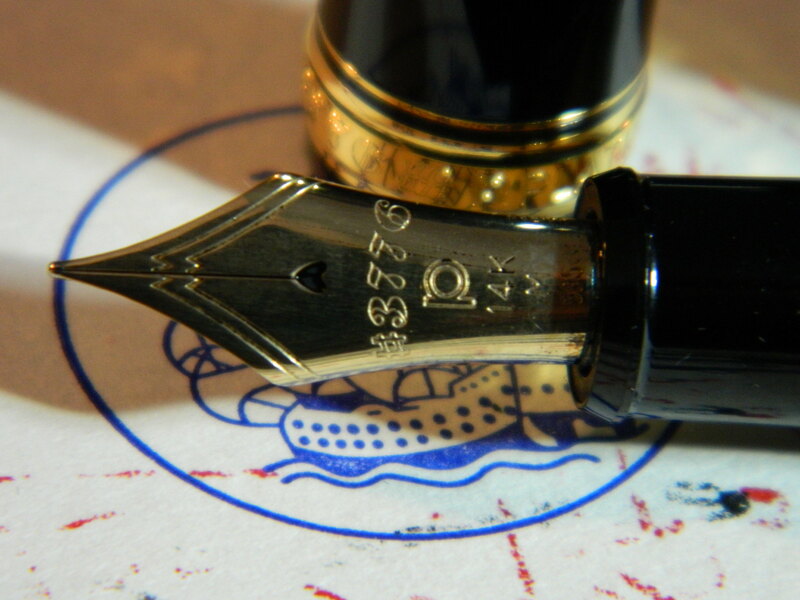 With a smaller nib, the pen doesn’t lay anything like the amount of ink on the page as it does with the music nib. As a result, it doesn’t need a huge reservoir of ink. 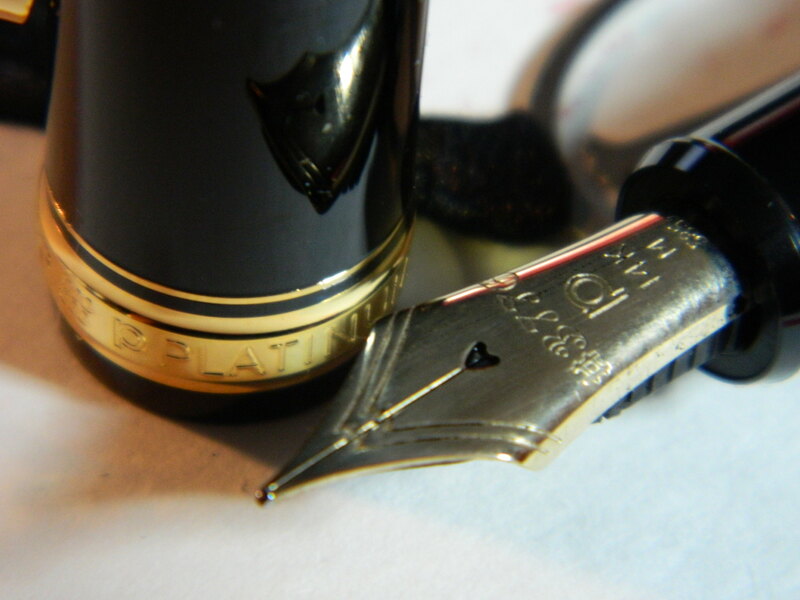 Now my only criticisms are that, it’s a bit small, and you can’t get it with a 14K gold stub nib. Neither are really fair I suppose. 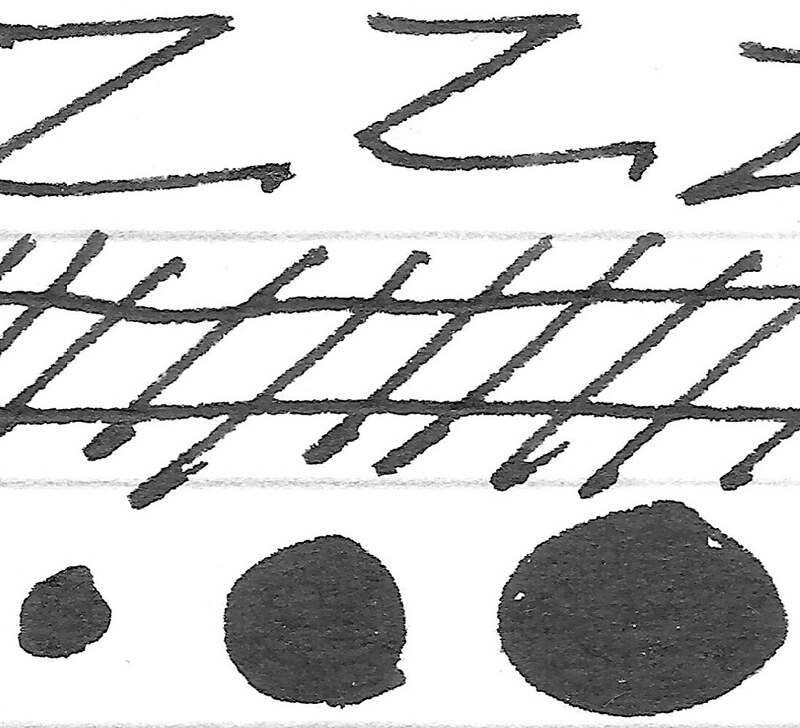 The Century 3776 doesn’t pretend to be a large pen, and a medium nib doesn’t pretend to be a stub. I am not going to recommend buying grey market goods, for many reasons. This is a decision that you really have to make for yourself—after doing a little research on the pros and cons of the grey market itself. All I’ll say is this, a Platinum 3776 Century, with a 14K nib for a fraction less than $100.00 CAD? If they did a stub nib, there would have been two pens in that package. 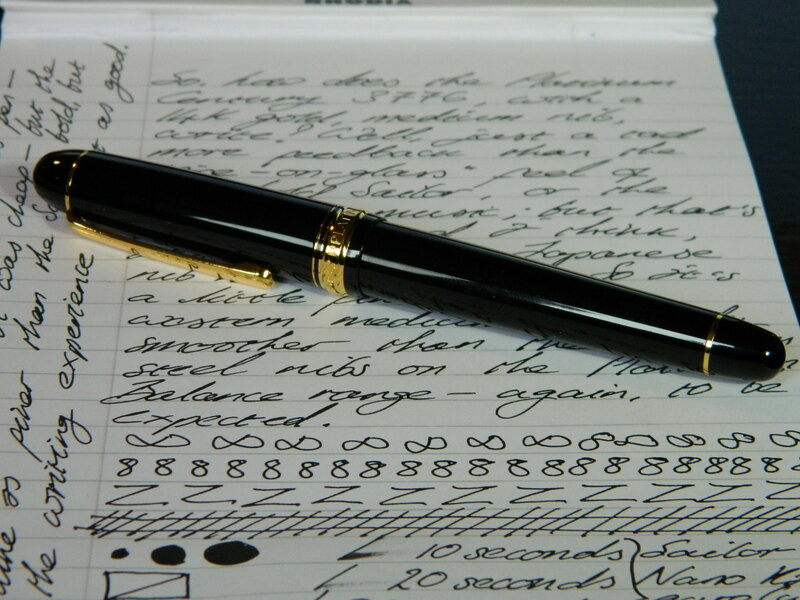 This is a beautiful pen, and performs like something many times the price.